3 Bedroom Terraced House For Sale in Sheffield for Guide Price £145,000. 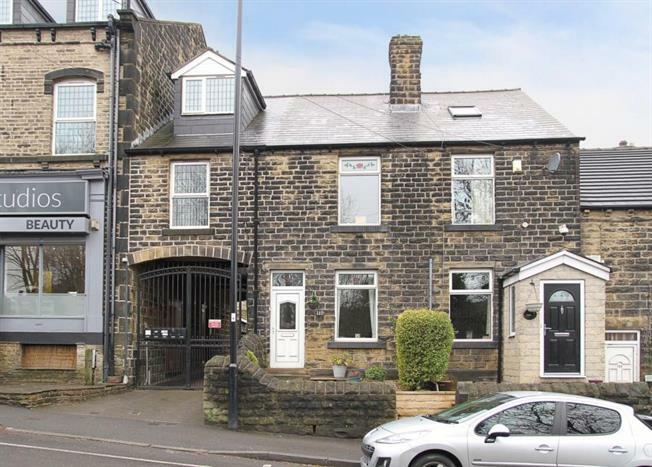 Located within easy reach to Chapeltown is this outstanding three bedroomed stone fronted mid terraced which has the added benefit from secure allocated double parking and attractive rear garden. The accommodation over three floors comprises, entrance lounge, dining room, kitchen, three bedrooms one being a large attic bedroom and bathroom with dressing area. The house has been maintained by the present owners and a further viewing is recommended to appreciate the size of the property. Offering gas central heating, double glazing and remote fob to control the electric gates that open to give access to the rear garden and parking spaces.